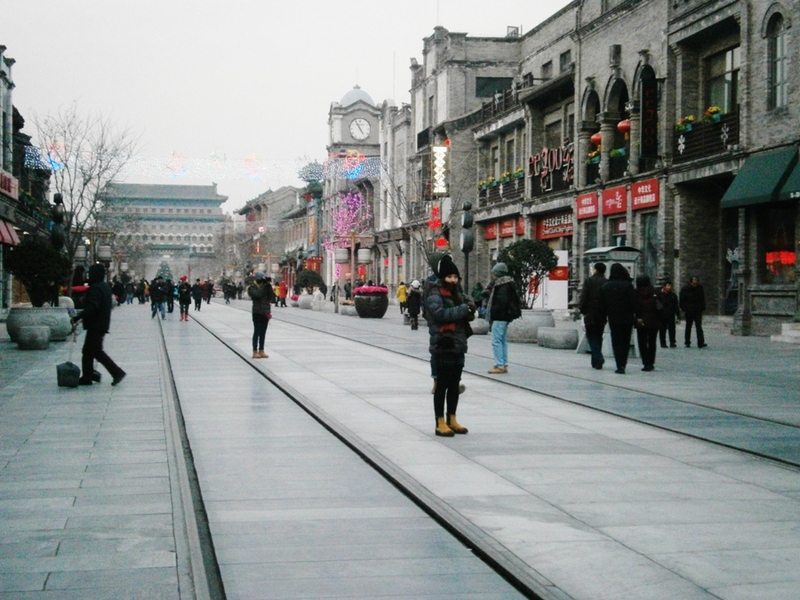 This is what happened when an amateur backpacker like me went to Beijing in winter without good preparation. I left my thick socks, knitted cap, earmuffs, scarf, even thermal underwear at home, didn’t want to believe when the pilot told me “I warn you, it’s -15’ Celsius out there, young lady.” In my head, nah, couldn’t be that cold, seriously. 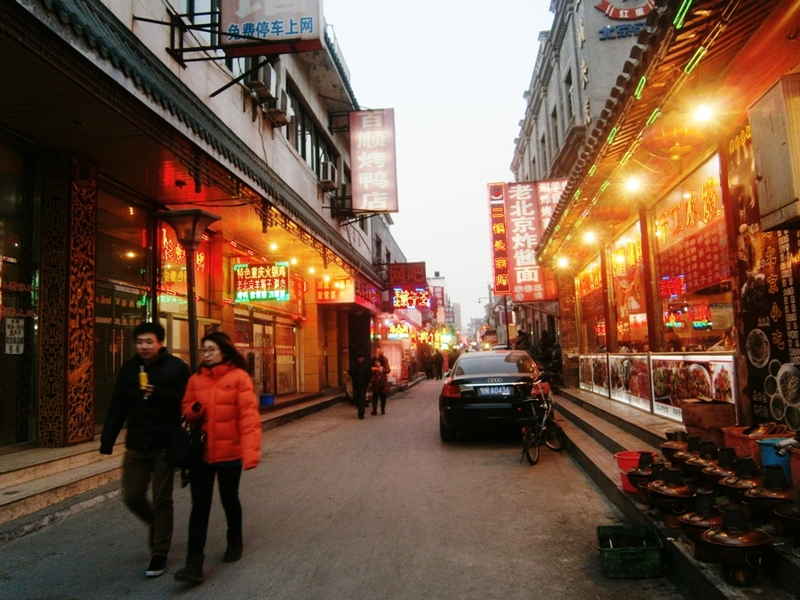 But he was right… I ended up staying in my hostel room the whole evening in my first day in Beijing, skipped dinner, simply because it was too cold to get out of the hostel. The next day, I decided to buy knitted cap and scarf from this H&M store at the Qianmen street – still in Dongcheng district area, only 15 minutes walk distance from Sunrise Hostel or Tiananmen East, you can also take metro line 2 to Qianmen. 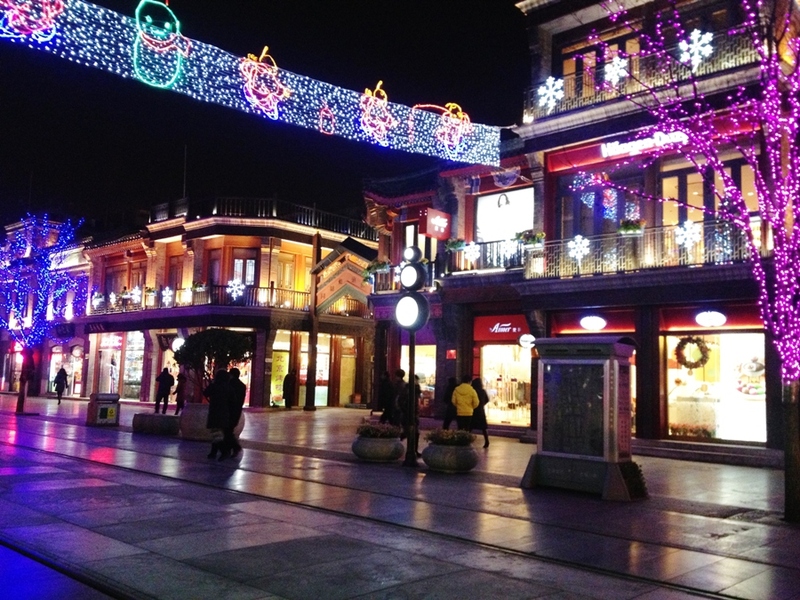 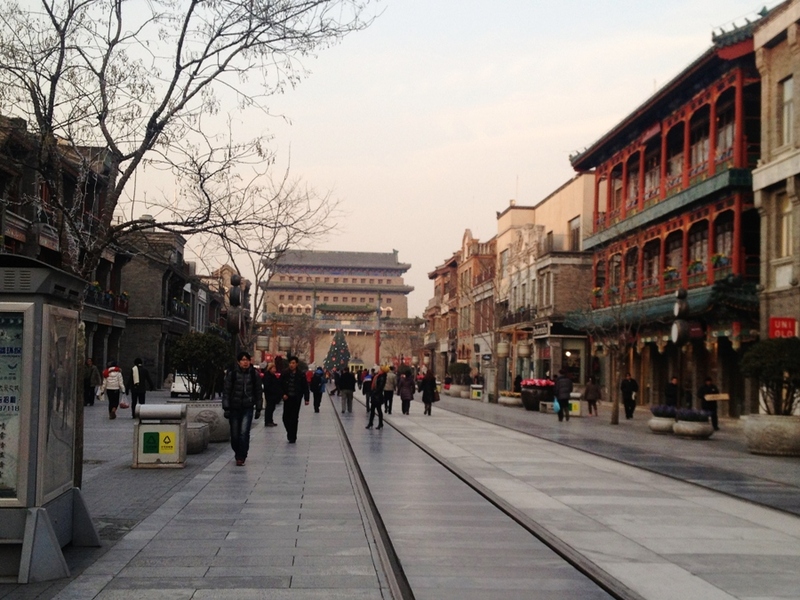 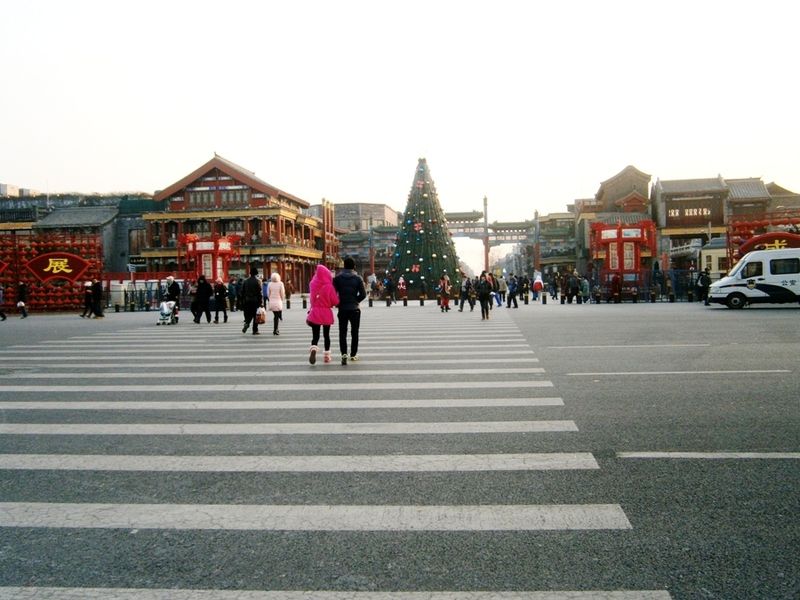 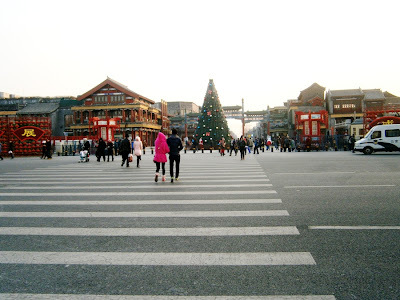 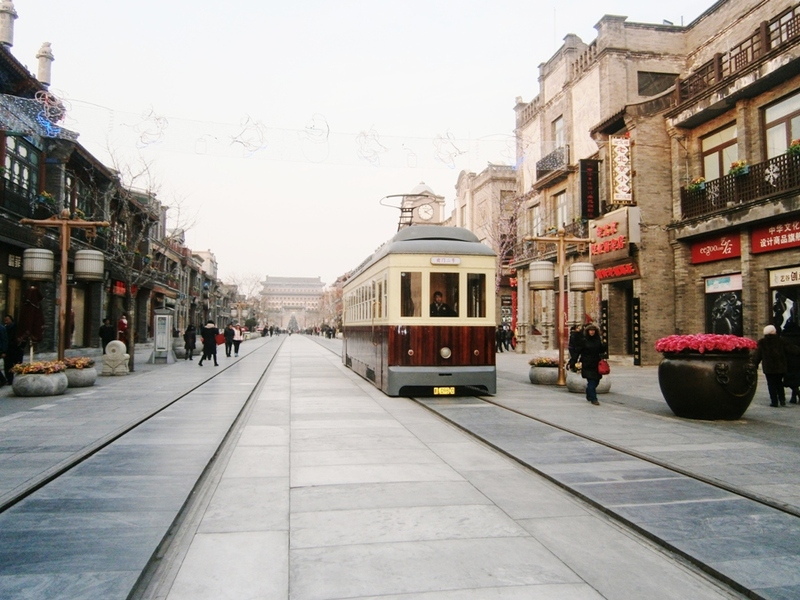 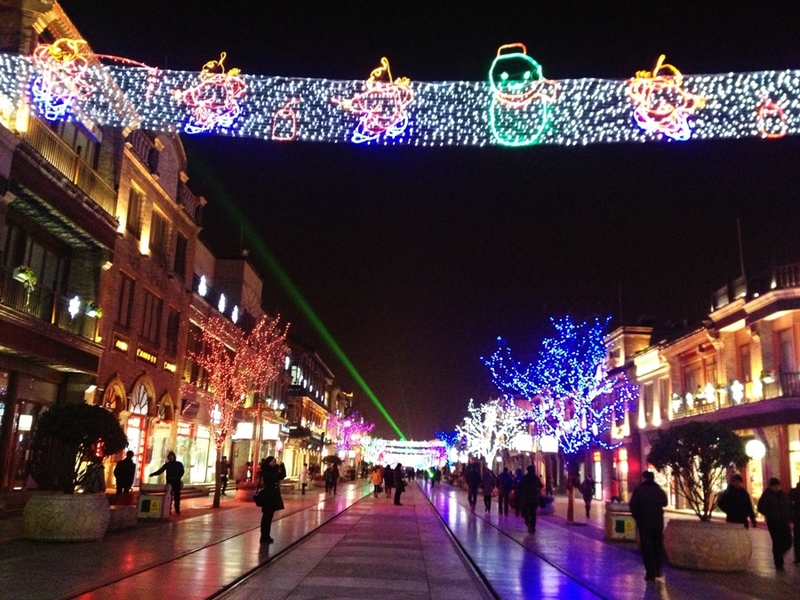 Just like my previous post about Wangfujing Street, Qianmen street is another shopping street worth to visit while you're in Beijing. 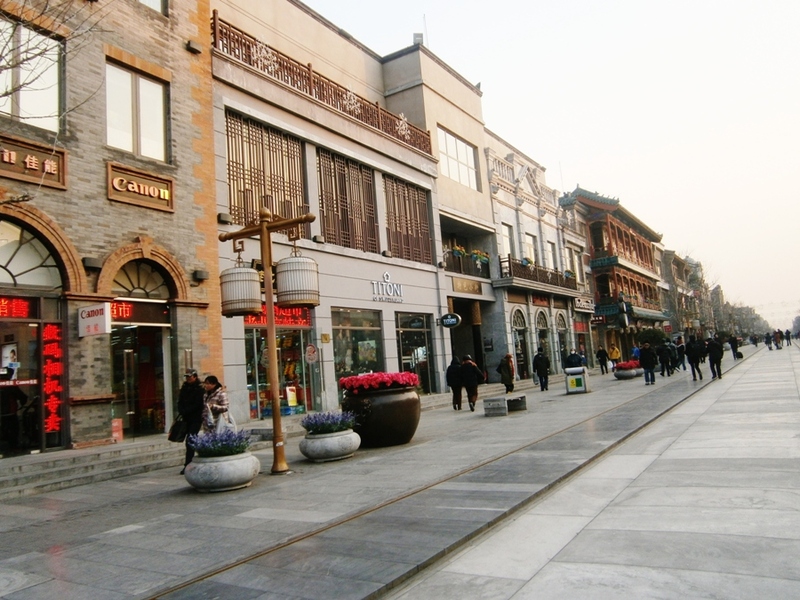 Even if you don't want to buy anything there, it's still very nice to have an afternoon walk with a cup of coffee, see the hutongs just behind the main street, a little bit of window shopping - as you can find not only H&M store, but also UNIQLO, Zara, Starbucks, and many more - pretty much those big stores you can easily find anywhere in the world, but again...as a tourist / backpacker / travel blogger, I love to see new places and share the info and photos with the readers, hope the postcards from Qianmen street helps for those making travel itinerary to Beijing.